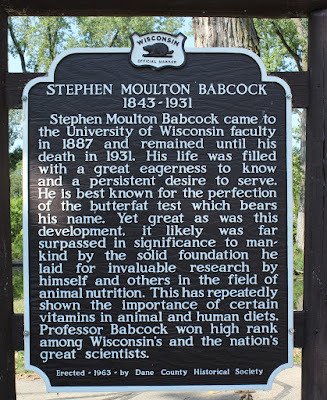 Stephen Moulton Babcock came to the University of Wisconsin faculty in 1887 and remained until his death in 1931. His life was filled with a great eagerness to know and a persistent desire to serve. 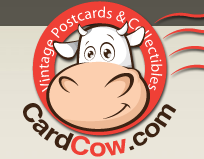 He is best known for the perfection of the butterfat test which bears his name. Yet great as was this development, it likely was far surpassed in significance to mankind by the solid foundation he laid for invaluable research by himself and others in the field of animal nutrition. This has repeatedly shown the importance of certain vitamins in animal and human diets. 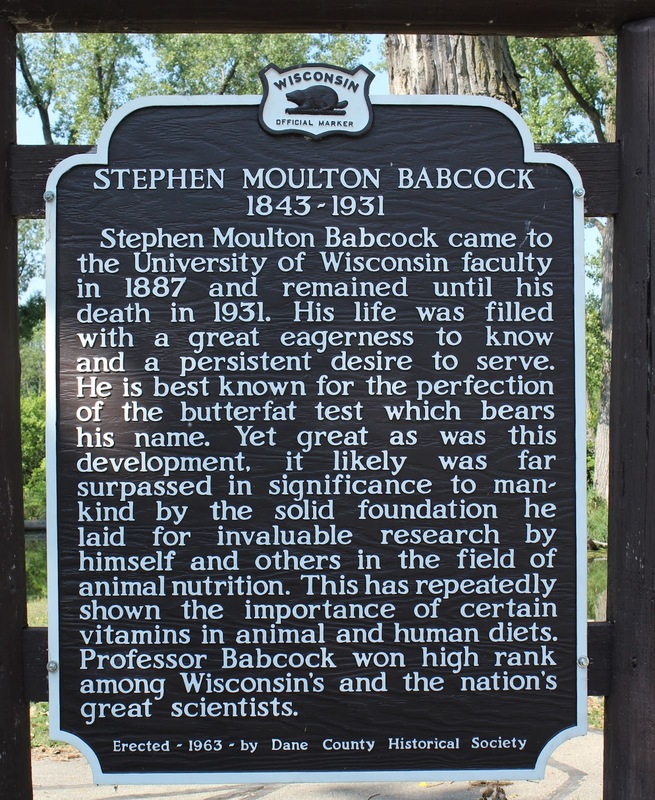 Professor Babcock won high rank among Wisconsin’s and the nation’s great scientists. 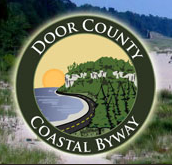 The marker is located next to a parking lot in Babcock County Park on southbound U.S. 51, just south of its intersection with Burma Road, McFarland, Wisconsin 53558. The marker is No. 4 in the Dane County Historical Society Markers Series. See also, Blue Star Memorial Highway (McFarland), also at this location.